The authors of the Energy Strategy - 2035 state that in 2009-2012, the economic dependence on the fuel and energy complex (FEC) in Russia increased by its share in exports (70 %), federal budget revenues (50 %), and investments (40 %). According to the Strategy, the main external challenge is "radical tightening of competition on foreign energy markets." In the first turn, the authors of the Russian energy document are confused by "transition of the largest importers to energy self-sufficiency." Indeed, it is impossible to ignore these trends: emergence of new producers, growing importance of unconventional energy resources and accelerated development of renewable energy sources lead to stiffer competition in key global energy markets. In addition, there are internal factors that indicate the need for radical changes in the Russian energy sector. With decreased economic growth, the main priority of the energy sector becomes not quantitative growth of production, but modernization. It is gratifying that the main idea of Energy Strategy - 2035 is transition from resource-based to resource-innovative development. However, increase in fuel consumption is still marked as a positive indicator: the document says that, unfortunately, energy consumption is not growing over the past 5 years. The Strategy indicates energy efficiency as one of the four main strategic goals. Moreover, with the caveat that energy efficiency is much broader and more complex concept than energy saving. The Energy Strategy - 2035 involves lowering GDP electric intensity by 40 % and energy intensity - by 50 % by 2035 (as compared to 2010 levels). The document says that "without this, the energy sector will inevitably constrain the socio-economic development of the country." In this context, it is important to note that, according to the majority of energy experts, the current goal of reducing energy intensity by 40 % by 2020 will not be achieved. At best, the result will be close to 13 %. According to the Energy Strategy – 2035, the main problem on the way of increasing energy efficiency is unrealized potential of organizational and technological energy saving, which is more than one third of the total consumption of fuel and energy resources in the country. In this connection, it is recommended to complete the work on "formation of an integrated system of incentives and mechanisms for development of technological energy saving" initiated in 2009-2013. The housing sector is mentioned in the Energy Strategy - 2035 as the most important area for improving energy efficiency. As follows from the Strategy, the basic measures of state energy policy are development of the mechanism of energy service contracts, state guarantees for projects in the field of energy efficiency and saving, interest rate subsidies for them, and tax incentives (accelerated depreciation, tax credit, tax breaks on property). Important indicators of the new energy strategy are increasing the oil extraction factor and utilization of flare gas. The paper notes that "during the considered period, no progress has been achieved in improving oil recovery and refining depth. The target levels for utilization of flare gas (95 %) will not be reached before 2015." According to the new energy document, the increase of energy production by traditional sources from 3 to 7 % is projected, with the growth of the share of nuclear energy. These conclusions do not correlate with the global energy trends. Vladimir Milov, the Director of the Institute of Energy Policy, comments: "We completely overslept the loss of global role of nuclear energy: its share in primary energy consumption fell from nearly 8 % in 2000 to just 4.5 % now and continues to fall, while we continue to run around the world with the idea of building new nuclear power plants." The Energy Strategy - 2035 mentions renewable energy in passing. It seems that the breakthrough in the direction of renewable energy is postponed again for hardly foreseeable future. However, the new text contains phrases of "sustainable energy", says a lot of words about adaptation of Russian energy sector to new development trends and to regulation of global energy markets. In general, the basic provisions of the Energy Strategy - 2035 could be considered progressive, if the authors of the document concluded from stating facts and analyzing trends to specifics of "radical transformation": cancelling subsidies to traditional forms of energy, ambitious targets for renewable energy development, and early introduction of economic incentive mechanisms to increase efficiency. With regard to further discussion of the Energy Strategy – 2035, the Government of the Russian Federation plans its discussion in early March. 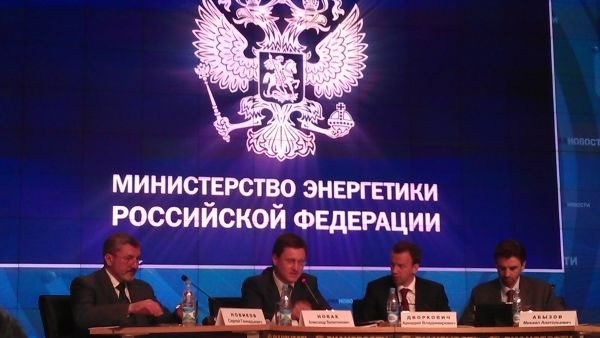 With account for improvements and remarks, "The Energy Strategy of Russia until 2035" shall be adopted in early 2015.